Inside: My secret for sneaking vegetables into my kids diet using muffins that are made of at least 33% vegetables. Before tasting my first Garden Lites muffin, I wasn’t sure what to expect. I have to admit that part of the reason I don’t think my kids love veggies is because I am not a huge fan of vegetables either. These muffins are made of 33% vegetables, so I was apprehensive to see how they would taste. I bought three muffin flavors to try: blueberry oat, chocolate, and banana chocolate chip. Both of my kids tried the banana chocolate chip and I, of course, choose the chocolate. I was amazed that the muffins were absolutely delicious. As a busy mom, it’s important to me to feed my kids healthy meals. 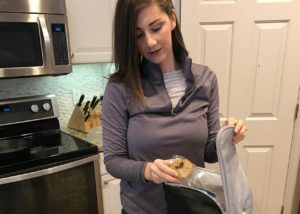 It can be challenging to do this when I am short on time to cook or my kids are feeling picky, which with toddlers is almost every day. I am always thankful to find products that make my life easier because I don’t have to choose between being healthy and tasting good. 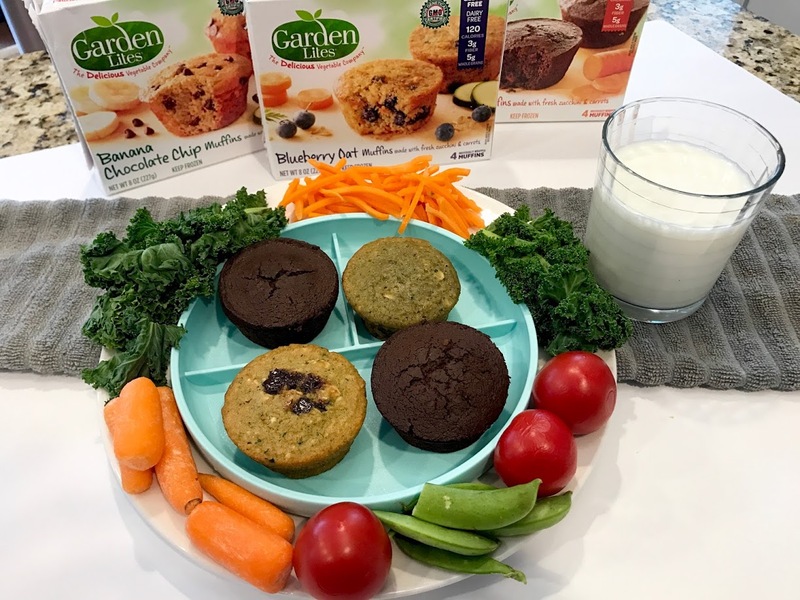 Garden Lites are made with vegetables like zucchini and carrots as the first two ingredients in many of their products. But tasting them, I bet you’d never guess it. These yummy muffins are a convenient breakfast, snack or dessert. And the best part is that you can feel confident about letting yourself or your family indulge in a veggie rich snack since vegetables are the first ingredient. 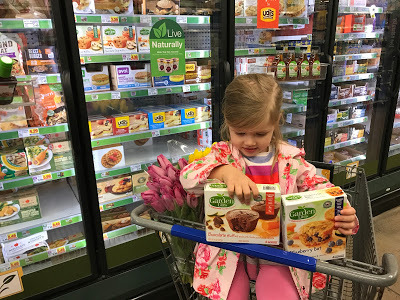 I found my Garden Lites Muffins at Kroger! You can find yours in the freezer section of your nearest Publix, Stop & Shop, Giant, Shop-Rite, HEB, Kroger or Costco. 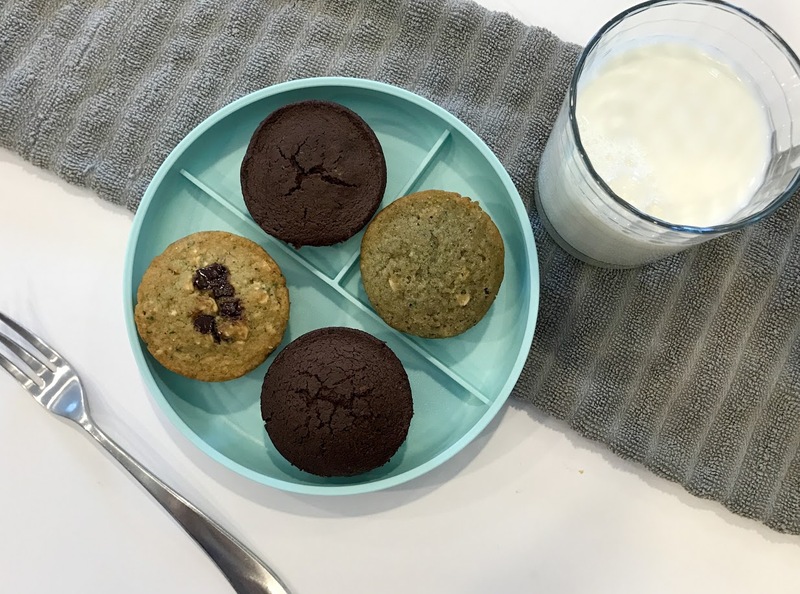 Once my kids tried these muffins, they actually ask to eat them every day until they are gone. Personally, I like to save these muffins for mornings that we have to get out of the house early, because I can heat them up in 30 seconds. I like to serve them with some fruit and milk for a balanced breakfast. Also, these muffins are easy to take in the car or eat at a restaurant while waiting for the food. If you are looking for a fun way to encourage your family to eat their veggies, join the #GardenLitesChallenge. It’s as simple as taking a video of your loved one eating one of these delicious muffins (without seeing the packaging). Then ask them to guess what they are made of and post it on social media. I wonder if they will be able to guess the simple and clean ingredients found in Garden Lites. Find the closest place to buy your muffins here. P.S. 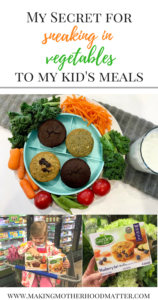 If you enjoyed this piece, you may also like Vegetables for Kids: The Truth About How I Get My Kids to Eat More Veggies.